Bench Cat/Cow: Stand about 1 foot in front of a bench seat, bend at your waist and bring your hands onto the bench. 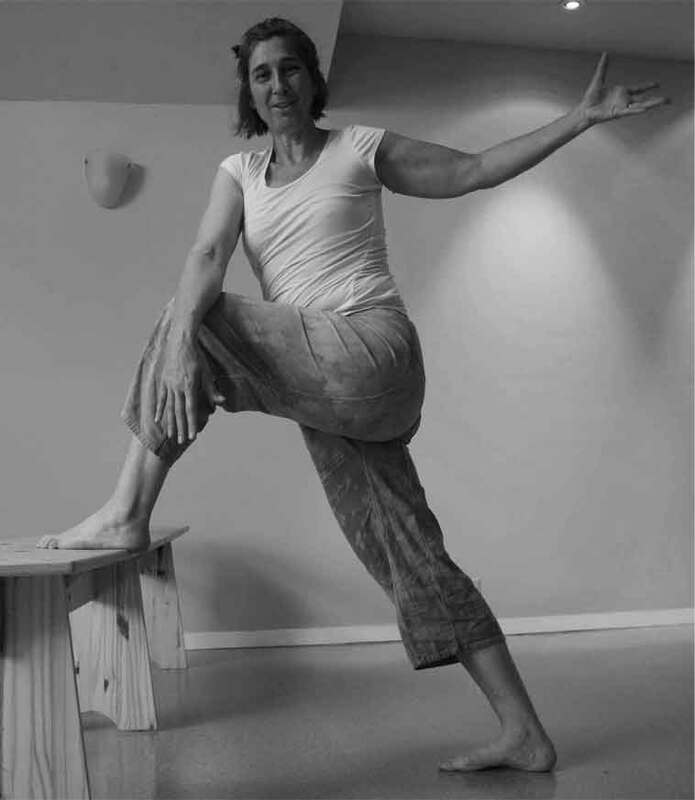 You'll want to find a position where your feet are directly under your hips and your hands are directly under your shoulders. 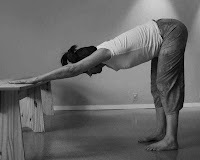 Begin in neutral spine and wag your tail right and left to stretch the sides of your low back. Return to neutral. On your inhale lift your tail bone, your heart and your gaze as you arch your spine toward the earth. Keep your abdominal muscles engaged all the while. Move back and forth from Bench Cow to Bench Cat 10 to 20 times cycling with your breath. Bench Dog: Take a step back, lift your sitting bones and bring your head down into the space between your arms for bench dog. Stretch way back through the armpits and the spine. Keep your knees soft so your low back can release. Try wagging your tail again. Breath deeply. 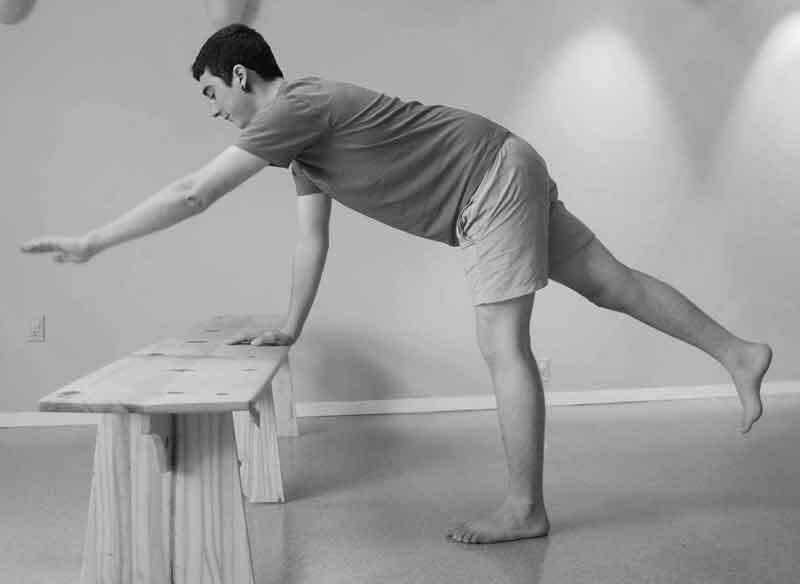 Bench Flying Cat: On an inhale step forward again so that your shoulders are directly above your wrists. 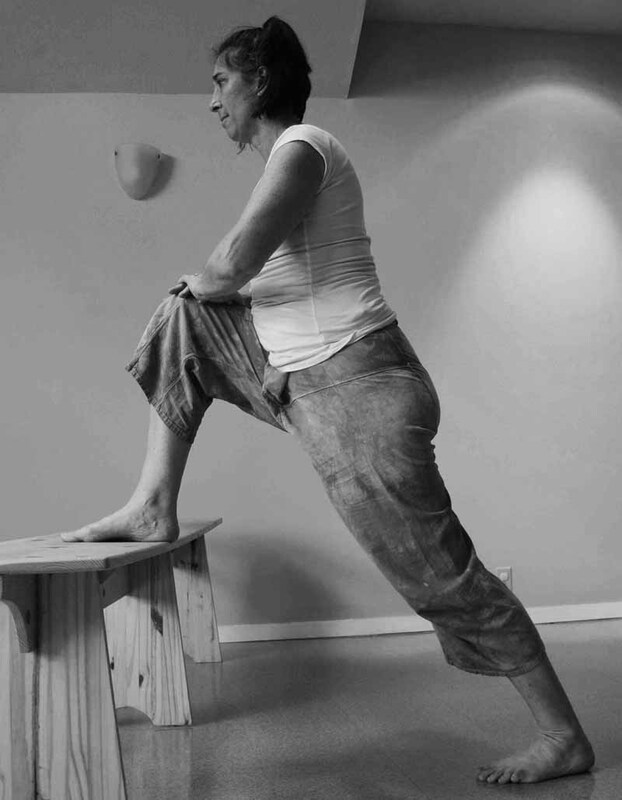 On your inhale lift opposite arm and leg while keeping a very steady center. Hold for 3 breath cycles and then switch sides. Repeat 3 to 10 times each side.